Posted May 26th, 2018 by Ms. Jen & filed under art + photography, photos + text from the road. 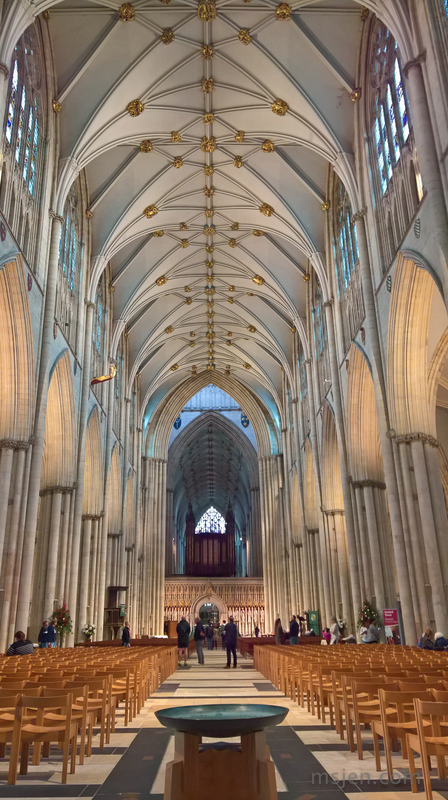 May 25, 2018 – York Minster‘s nave. This cathedral is truly beautiful, next to Salisbury and Chartes it is the most beautiful high medieval gothic cathedral I have ever seen in person. It has been a thirty year, since spring 1988, goal / life list to come visit this beautifule high gothic cathedral. Rather than go to Spain, my Mom and I decided to travel to Oxfordshire and to Yorkshire via train this week and I am very glad we did. York is a lovely city.